“The way you feel today, no matter how bad, is just this day in time.” Yet, times of crisis and struggle are powerful opportunities for change. I am here to help you through the difficult phases of your life. My goal is to assist you in identifying, clarifying and articulating your concerns to enable you to make the changes you desire. My philosophy has always been that all of us do the best we can with what we have, but that sometimes there are bumps along the way that interfere with our happiness. I work with children, adolescents, adults and seniors. I have extensive experience and training working with adolescents with depression and school problems as well as with children and adults who have been abused. I have a special interest in helping blended families and couples in conflict. My background includes work in community mental health and school settings. 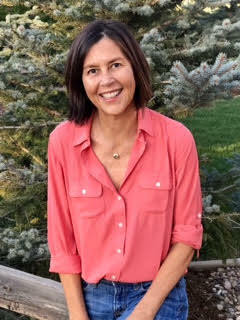 For a number of years I was the Team Leader of the Adolescent Day Treatment Program and Boulder Mental Health Center.